Which makes sense, they are probably saving that for E3. Jez Corden, the insider who revealed that the Xbox Scorpio reveal would be coming this week way before it was officially confirmed, took to Twitter to share some more information about exactly what Microsoft fans can expect from tomorrow’s grand unveil. On the whole, you can expect good news- Corden said that there will be positive surprises, in response to multiple fans, before emphasizing, “Not gonna wreck it for Eurogamer, but expect huge, positive surprises on Thursday. 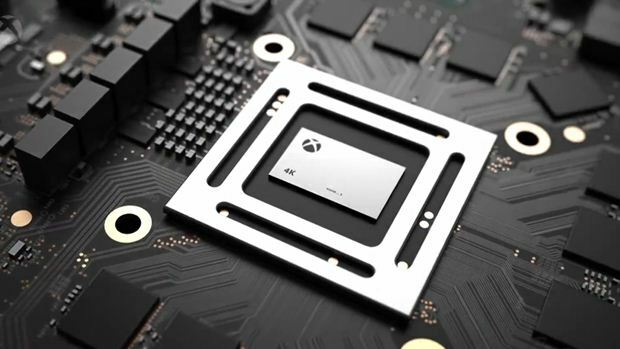 Xbox fans will be elated by the findings, I think.” This seems to imply that from a hardware perspective, if nothing else, the Scorpio may indeed be exactly what a lot of Xbox fans may be wishing for it to be. On the other hand, don’t go around expecting an announcement of the price just yet- speaking on Twitter, Corden confirmed that that’s probably not happening just yet. It makes sense, that’s probably something Microsoft wants to save for E3- E3 is a bigger audience, it gives them time to gauge reactions to tomorrow’s unveil and decide from there, and it means Sony has less time to counter with pre-emptive price drops and bundling. We’ll keep you posted on all the Scorpio news, so make sure to stay tuned!